How long does it take for ozone to dissipate? If you’ve been using an ozone generator in your home for some time, then I’m certain that question has crossed your mind at least once or twice. But still chances are you don’t think about the coolers and humidifiers all that much. While they do get some mention on the Internet, they aren’t nearly as buzzy as other trending home improvement topics. What’s more, we have a tendency to take them for granted – until we need them. Most of the time, we don’t give misters and humidifiers a second thought, but when the air’s hot or too dry, or when the air quality suddenly drops, suddenly we’re all about those misters and humidifiers. Air quality is, after all, a big part of making sure your home is a comfortable place to live. That said, today we are absolutely spoiled when it comes to air quality. Go back in time to previous centuries, and you’ll find everyone from the Court at Versailles to the Victorians to the Flappers and Philosophers of that F. Scott Fitzgerald-esque Jazz Age sweltering in fetid, ill-ventilated, often foul-smelling interiors. With the rise of the first modern air conditioning and then misters and humidifiers, however, we now have more control over the air quality comfort levels in our home than ever before. Even so, there are different types of humidifiers, and if you own an ozone-based mister and humidifier, there is every chance you have probably found yourself asking just how long it takes for the sprays of ozone they release to dissipate. Possibly longer than you think. First, let’s answer a relatively basic question for those new to the topic – what is ozone, anyway? For those not in the know, ozone is a type of oxygen molecule. You have probably heard of it before – the ozone layer is part of what helps protect the Earth from the unfiltered heat and UV radiation of the sun. If you lived through the era of big hair and bigger egos that was the 1980s, you probably remember those masses of CFC hair sprayed hairstyles – and the subsequent fight over banning CFCs. Ozone itself is quite simple. An ozone molecule is comprised of three oxygen molecules bonded together. As such, it has some unique properties which we are able to sense, most notably its distinct “ozone smell,” which is one common reason people commonly wonder how long it takes for ozone to dissipate. While not foul smelling, it is nevertheless not odorless, and for those used to living in an odorless space, grappling with that “ozone smell” when turning on their humidifier or mister for the first time can be a surprise. What Are Ozone-Based Humidifiers and Air Purifiers? So, what are these humidifiers which are emitting this ozone odor, and why do they do it? First, it is vital to note that not all humidifiers do this. In the same way that the amount of time it takes for ozone to disperse will vary (as we’ll see) so too is there a variety of different types of humidifiers. To answer Juliet’s old question – “What’s in a name?” – the answer is here, well, pretty much what it says on the tin. A humidifier helps to humidify a space, releasing moisturizing mist into a space. Air purifiers similarly work to purify the air supply of a given space, both by way of a fan system, as well as filters which can catch and filter out harmful particles. These units commonly do this by having fans blow out a mixture of cool air, a fine mist, and certain gasses, the latter of which is where the ozone comes in. As such, the dissipation rate of ozone in these humidifiers is closely tied to the range of these humidifiers, which varies widely depending on a variety of factors, which we’ll look at in a moment. First, however, it is worth taking a moment to pause and take a look at all the benefits which ozone-based and other humidifiers offer. For one thing, as stated, they can play a huge role in helping to cool your home. If you live in a particularly hot area, a traditional air conditioning system may not cut it. What is more, if you work in a large enclosed area, such as, say, an office space, you are going to have to deal with both the body heat and body odor given off by dozens or even hundreds or thousands of individuals coming into and out of the space on a daily basis. It’s not necessarily a pretty picture. When you employ these misting humidifiers, however, you have a better chance at making the air around you fresh and breathable. That is due in part to the fact these humidifiers also often act as air purifiers. As you might expect, portable air purifiers work to filter out pollutants and unwanted particles from the air, leaving you with a far fresher air supply and, thus, superior air quality overall. 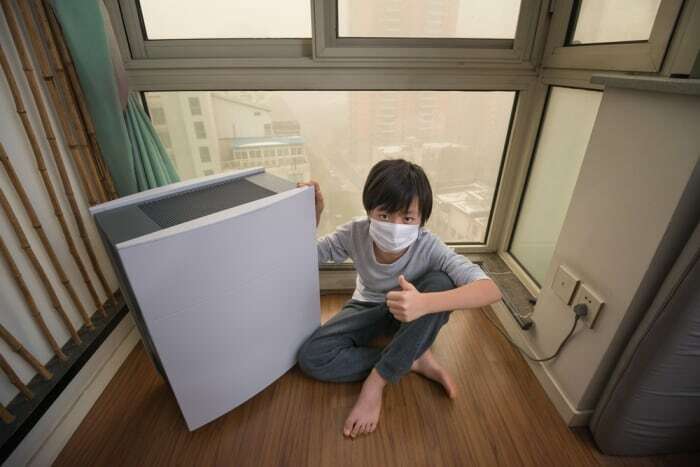 Ozone-based humidifiers and air purifiers can be great in this regard. The pollutants in question become attracted and attach to ozone molecules, and are subsequently destroyed. That being said, in doing this, you are still releasing other elements into your air supply, such as ozone. Under no circumstances do you want to breathe in ozone. Direct exposure to ozone can lead to everything from severe headaches, dizziness, and nausea to poisoning and more serious problems. That’s why nearly all modern ozone units today come with a timer. You set that timer, leave the area, allow the ozone to disperse and do its work, and then come back when it is good and dissipated. All of which brings us back around to the central question of our piece – how long will that ozone dispersal time be? After all, while you certainly want to make sure that your air supply is as clean and pollutant-free as possible, you don’t want to have to spend hours on end waiting for that to happen. How Long To Wait After Using Ozone Generator? The rate of dispersal for ozone is, thus, tied to a few factors, as stated, one of the most vital being the amount of ozone being released and, just as importantly, the amount of space it is filling. Pump a large amount of ozone into a small space, and it is likely to linger there for hours. This is one reason why it is extremely inadvisable to keep an ozone unit directly next to you, or use these units in a small enclosed space. By contrast, using an ozone unit in a large space gives the ozone molecules much more room to disperse, and they will, thus, be able to do so much more quickly. They might still linger about the room, but their concentration will not be anywhere near the amount at play in smaller spaces, thus, allowing for faster dispersal. All of this is also naturally contingent upon the ventilation system at work. If you have a poor ventilation system in place, there is little external force pressuring those ozone molecules to disperse, and so they will linger about the space for a longer period of time. By contrast, if you have a well-ventilated space, the ozone can typically be dispersed and, thus, dissipated in a far shorter amount of time. All of this, in turn, relates back to that aforementioned “ozone smell.” Unsurprisingly, the stronger the concentration of ozone, and the less well ventilated a space is, the stronger that smell is likely to be, even after the ozone has dissipated to a safe enough degree for you to re-enter the area. So, with all of that in mind, what is our grand total in terms of the time it can take for ozone to dissipate? In a best-case scenario, namely a larger space with a strong ventilation system, you are probably looking at somewhere in the ballpark of about 30 minutes before the ozone dissipates enough to where you can safely re-enter the area, and where the “ozone smell” is weaker, if not yet entirely gone. If, on the other hand, you are using your ozone unit in a smaller space, or the space in question is not well ventilated, you are instead likely looking at somewhere in the vicinity of a few hours. Typically, an ozone unit will give you a guideline as to how long it should be operated, which can also be useful for figuring out where on that timescale from half an hour to a few hours you personally stand in terms of the dissipation rate. That said, as a rule, you always want to err on the side of caution and re-enter a room later rather than sooner, given the potentially dangerous nature of ozone when confronted directly. What is more, you always want to make sure – for both the dissipation rate, as well as your own personal health – that you are using the ozone unit in question in a well-ventilated space. Armed with these facts, you are now ready to clear the air in your home or place of business with an ozone unit. what about cpap cleaning equipment like the so-clean 2 which uses a usual 6-10 min treatment of ozone to sanitize the water chamber, hoses and masks and the resulting (used?) ozone passes out through a small activated charcoal filter into the room air and the filters are to be changed on 6 month basis. does this use of cpap cleaner increase the active ozone say in a bedroom? also if what your report says that humidity affects the efficiency of the charcoal filter it would be better to always operate the water chamber w/o water.